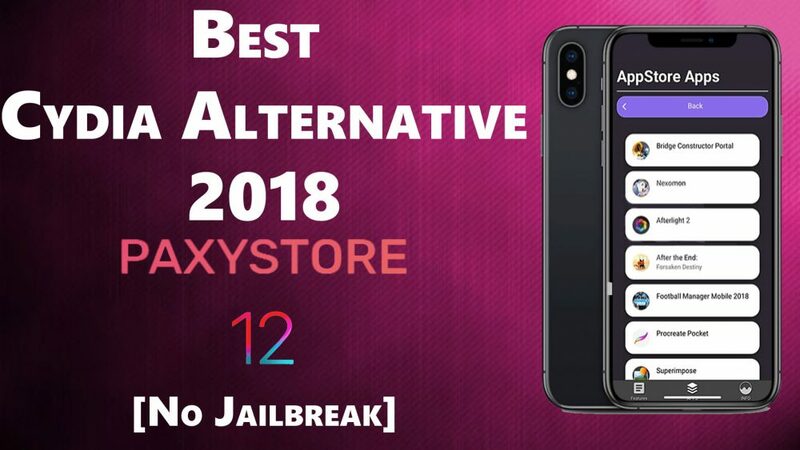 Best Cydia Alternative 2018 – In this article, I m going to show you how you can download best Cydia alternative 2018 (Paxystore) on your iPhone & iPad. We all know that we are surrounded by the Cydia alternatives and fortunately these all are legal. But some them are really harmful to our devices and once we used them then we won’t able to use them again. Actually, there are still some Cydia alternatives, which are working perfectly on the iOS devices and Paxystore is one of them. guys, it’s just a Cydia alternative, not Cydia and I know most readers think that they have to jailbreak their iPhone & iPhone. And they are wrong because you can download it without jailbreak on your iOS devices and the best thing about this article is that even you can download it on your latest iOS 12 or later version device. Maybe most of you are not hear about the Paxystore. so let me tell you a little bit about it. Paxystore is an amazing third-party app store that let you download new tweaks and ++apps on your iPhone & iPad without jailbreak. it’s kinda like TweakBox or TutuApp. but with a sliding bit of difference. Tutuapp and TweakBox far more efficient than paxystore. but it’s time to download amazing tweaks and Paxystore allows us to download them. so let’s go further and see what Paxystore provides. It’s completely legal to download. It doesn’t require any jailbreak. Contains tweaked apps and ++apps. You can download everything free from this Cydia alternative. You can download it on your iOS 12 or later devices. First of all, you need to open the Safari browser on your iOS device and you can use any third-party browser like Chrome or opera. Type Paxystore.com in the search box. Then you will redirect on the website, from where you can download Paxystore. Scroll down until you see the button that says download now. Once you see it then click on it and proceed to install the profile. After downloading the app, go to your home screen and tap on the app. Choose out of multiple different categories. You can just click on the app you want to download. So the downloading and installing process is complete. Now what you need to do is just go to the settings and then general and scroll down all the way to profile & device management and make sure you trust the app. And now you use the app on your iPhone & iPad. So this article was about how to download best Cydia alternative 2018 (Paxystore) on your all iOS devices. thank you guys for reading this article and being with us. hope you have got something from this article and if you like this article then please don’t forget to share it with your friends, family members, and on the social media and also don’t forget to visit daily on this website. because we update here every day new and helpful articles like this one.